Comment: Small damage on the cover. 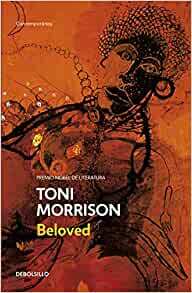 Start reading Beloved (Spanish Edition) on your Kindle in under a minute. 5.0 out of 5 starsA truly great book. It's message resonates louder now than ever. I picked up this book because I wanted to get some perspective after the recent killings of unarmed black men by police officers. As a middle aged white guy, it was hard for me to put wrap my head around the pain and the anger felt by the residents of Ferguson, by the residents of New York. I have friends that are cops. My Facebook wall filled with persuasive arguments in defense of the police actions. But I saw the video of Eric Garner. I followed the news about Michael Brown. Still, I sympathized with the officers, which I knew in my heart was wrong. I wanted to understand how black people in this country experience life, and starting with the shameful history of slavery seemed like a good start. Beloved is a truly great book that lives up to the hype. Hard to put down. The writing is excellent. The story is not one of suffering, but one of persevering through the insufferable. It's often hard to read, with the unflinching descriptions of torture and degradation. However, I'm a tiny bit closer to understanding. If you aren't an Oprah fan, just push her association with the novel and film out of your mind. Buy this book or at least get it from the library. So much praise has been written already that there's little I can add, other than to say the novel merits its reputation. The general story (no spoilers here, don't worry) concerns the life of an escaped slave. But the novel explores not just events, but the way we perceive events, through memory, dream like states, hallucinations, how we relate to our dead and or how they may be relating to us. You've had events in your own life that you've thought about from different angles...events so complex that they never seem to be 100% resolved....different people have different perspectives on those events...even you, maybe, felt differently about it at times. This novel feels very like that; powerful, life changing events being difficult to pin down. Its shocking (nauseating), beautiful, difficult to read at times, difficult to stop reading, difficult to stop thinking about when you've finished. I suppose I'll read it again in 10 years to see if I learn anything new from it. I purchased this book to increase my number of books read from the PBS Great American Read. I felt that I needed a better score than 33% of the books on the Great 100 list. It is beautiful. I had purchased it previously but was not able to get into if for some reason. I think a better goal instead of increasing my total on the list of the Great American read would just be to read all of Toni Morrison. I'm now two to the good. Absolutely beautiful prose, characters, plot, etc. i did need a break from reading this book it was sometimes too heavy to read straight through. 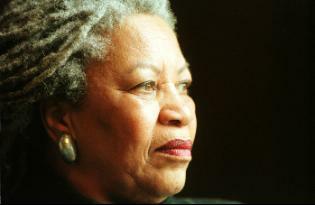 Toni Morrison's writing isn't "great". It is mind blowing. This book reads almost like poetry. It's a really, really, really heavy story- a woman escapes slavery with her four young children, only to reach freedom in Ohio right about the time the Fugitive Act was enacted. Her former owner comes for her and her children, and she makes a desperate decision to take her children's lives, rather than have them live enslaved. As time goes on, the ghost of the daughter she killed haunts their house and makes trouble in her life. She and her living daughter, Denver, try to summon the ghost, and a few weeks later a mysterious young woman shows up and basically moves in with them. Highly recommended- take your time and read this one bunch of times. It can be really painful. But it is beautifully written and important to read. I feel changed after reading this book. So complex, so painful, so painfully beautiful, such life in the telling of this story. As a Black queer womyn, I have grown tired of the handling slavery narrative. Of the laziness of its use and overuse as a point of reference. But what Morrison does so well is bring life to the complexities of Black life and love in the face of the worst part of American history. I would even go as far to say, it goes beyond the political. It circles down to the smallest particles of her characters' lives and inner self-talk/workings. I don't even know if this review will capture all that I think and feel and see after reading this book.